Throughout the month of February, Ryan Alexander Diduck will be taking over as guest-host and curator of CKUT’s If You Got Ears. Diduck is a Montréal-based writer, producer and doctor of philosophy. And he has programmed four solid weeks of exciting radio for us, each show centered on a different theme. There will be exclusive in-studio performances, fascinating interviews, and some very special world premieres. 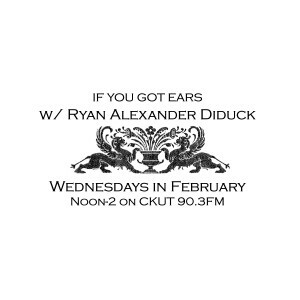 Catch Diduck’s residency every Wednesday from noon-2 on CKUT 90.3, and online at CKUT.ca. For the first episode of his If You Got Ears residency, Diduck dedicates the show to some of Montreal’s most interesting, important and beloved artists. Tune in to hear hot new music from Le Révélateur, and an exclusive in-studio performance by composer Kara-Lis Coverdale. Diduck will also air some classics that define the city’s soundscape, and unearth a few surprises that delve beneath the surface of Montreal’s musical scenes. 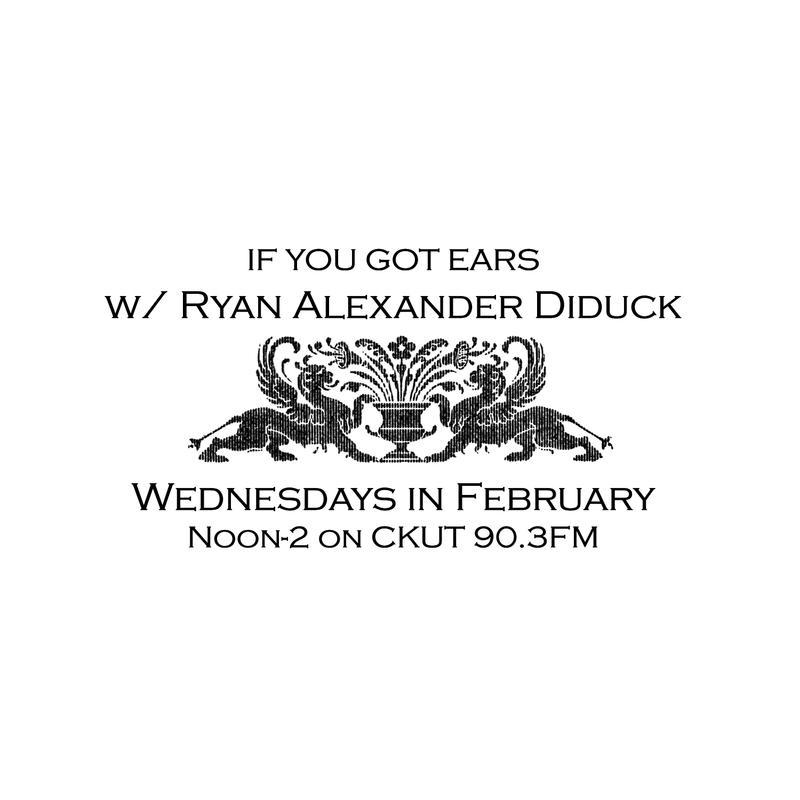 Don’t miss this special Montreal edition of If You Got Ears, Wednesday February 3rd from 12-2pm on CKUT 90.3 and online at CKUT.ca. This entry was posted in CKUT programming and tagged experimental, If You Got Ears, kara-lis coverdale, Ryan Alexander Diduck, Synth on February 3, 2016 by CKUT Music Coordinator. 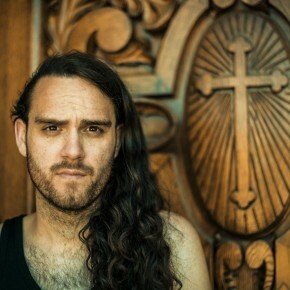 Today on If You Got Ears, experimental composer/musician/producer, Kara-Lis Coverdale talked to prolific Montreal electronic musician, d’Eon, about digital technology, performance, reality, and being human. If you missed it, you can check out our archives to catch todays session. Tune in next Wedneday from 12-2pm to get brought into new musical worlds by Kara-Lis on the last episode of her residency on If You Got Ears. This entry was posted in CKUT programming and tagged d'Eon, electronic, If You Got Ears, kara-lis coverdale, Montreal on August 19, 2015 by librarian. I just got back from a rad weekend hanging with some pals in Toronto, including fellow CFUV expat/Dale Speaking rep Justin Lanoue. It was great! Toronto often gets a bad rap from other Canadian towns but it’s a pretty fun city to visit. It felt great to chill out on some nice patios, eat great food, and explore some new neighbourhoods. I also devoured an ungodly amount of delicious ice cream, which makes the trip an automatic success in my books. Hope you’re having a great August too! 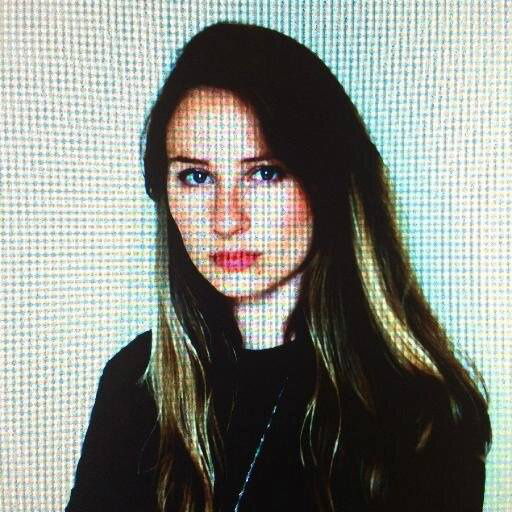 As part of our ongoing experimental radio residency If You Got Ears, local sound wizard Kara-Lis Coverdale is taking over the CKUT studios every Wednesday in August from noon till 2pm. Coverdale is a composer, musician, and producer who makes multi-layered electronic music rich in melody and spectral intrigue, interrogating divisions between beauty and brutality, physical and virtual, human and machine. Her residency focuses on innovation musics that challenge the languages and borders of tradition to offer unique gateways into worlds we haven’t yet experienced. Want to learn more about her work? Check out this Guardian article, and be sure to catch the audio from her residency on the CKUT archives. 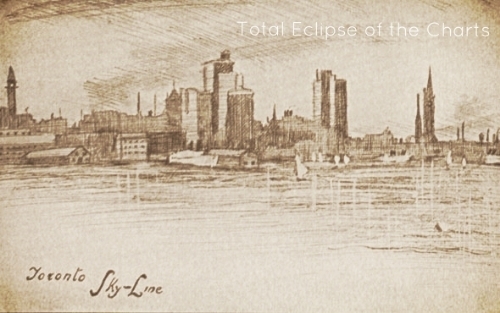 This entry was posted in Charts and tagged If You Got Ears, kara-lis coverdale, specialty charts, top 30, Toronto, total eclipse of the charts on August 13, 2015 by CKUT Music Coordinator. CKUT appears to be a magnet for experimental electronica, and this month on If You Got Ears is no exception. 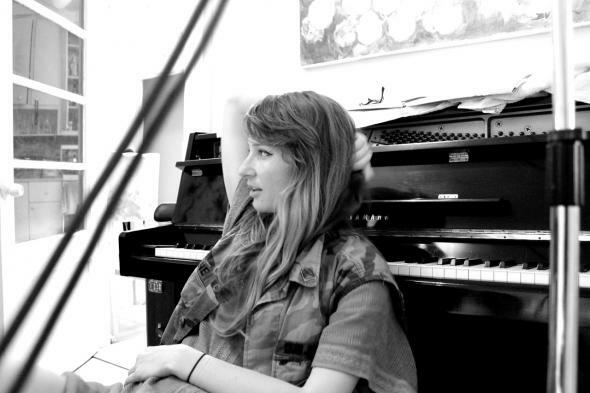 We’re lucky enough to have the talented Kara-Lis Coverdale in the studios for the entirety of August, delivering some fantastic and innovative sounds. You can read more about her style on our website, and hear some of her music on her bandcamp (it’s awesome, by the way). 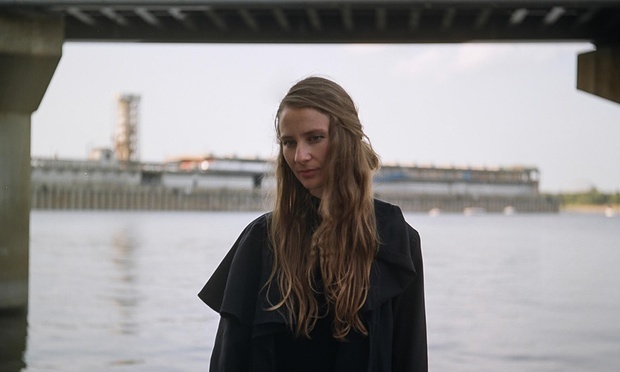 This entry was posted in CKUT programming and tagged Electronica, experimental, If You Got Ears, kara-lis coverdale on August 12, 2015 by librarian. Today we had Kara-Lis Coverdale in for If You Got Ears; right here at CKUT! Coverdale is a composer, producer and musician, well known for her unique mutli-layered electronic compositions. Coverdale’s music is both jarring and soothing; corrupt mechanical master pieces drawing distinct juxtapositions between the known and the unknown, the human and the machine. Coverdale plans to use her If You Got Ears residency to demonstrate the innovative and boundary pushing aspects of her unique approach to electronic composition. This entry was posted in CKUT programming and tagged Electronica, If You Got Ears, kara-lis coverdale, live, Montreal on August 5, 2015 by librarian. 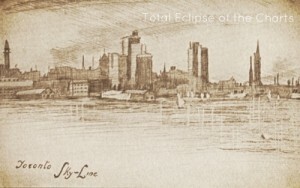 This entry was posted in Charts and tagged ckut, kara-lis coverdale, specialty charts, top 30, Toronto, total eclipse of the charts on August 1, 2015 by CKUT Music Coordinator. To celebrate International Women’s Day, tonight’s show will feature some shining examples of ladies-leading-the-way in Montreal’s music community. To help highlight what Montreal is doing well, and what we can improve on, we’ll hear from guests Démi Begin of Push & Shove, Peggy Hogan of Hua Li and Rachel Weldon of Debaser/Weird Canada. To start off the program, Kara-Lis Coverdale is our in-studio guest! We’ll be digging into an interview, live performance and a preview of new material from a forthcoming album on Sacred Phrases. This entry was posted in CKUT programming and tagged international women's day, kara-lis coverdale, Underground Sounds on March 9, 2015 by Nick Schofield.